Density Frames, an installation at the University Religious Center, is led by Professor Gail Borden of Borden Partnership and is an iteration of his previous project called Light Frames. With its abstract, religious, symbolic forms and evocative visual and physical materiality, it seeks to highlight a connection between the individual and the space. 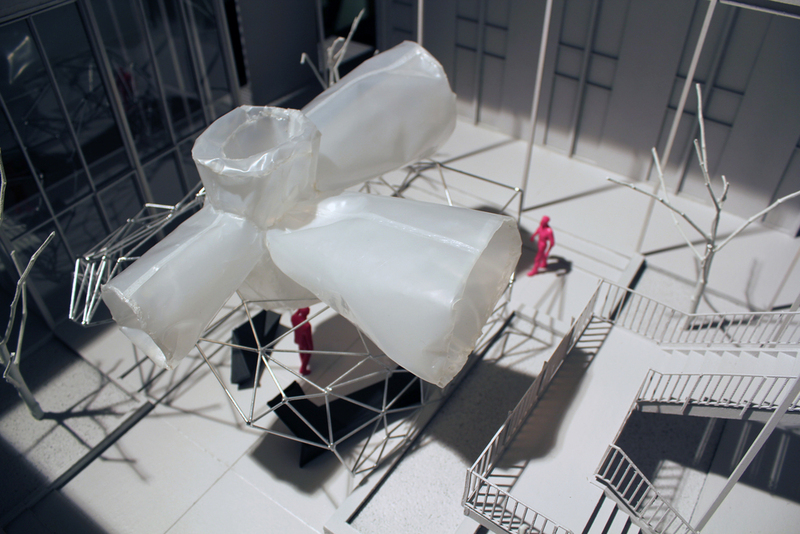 The thin, rigid profile of the metal frame visually supports an inflated balloon which levitates above. The dialogue between the fixed and floating elements offers a thoughtful representation of humanity's inspirations and aspirations versus the realities and rigidities of life. All religions seek to reconcile these inherently human principals. The installation can then be perceived as as a sculpture, a place for prayer, a shelter, but most importantly an initiator. 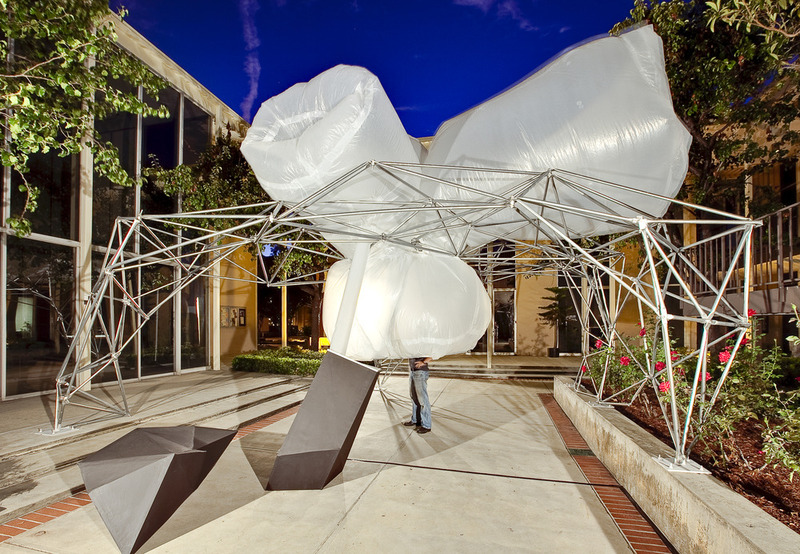 The installation was realized in two short months by a team of architecture students at the University of Southern California. It was built in the USC School of Architecture and carried across campus to be erected at the University Religious Center. It was commissioned by the University Religious Center at the request of Reverend Burklo. Constructed in Summer of 2009 in collaboration with Borden Partnership. Learn more about Density Frames here.